There is no prettier place to be during the fall than in the heart of the Smoky Mountains. If you have never been here for this season, then you and your group are in for a real treat. The mountains light up with vibrant shades of red, yellow and orange throughout the entire season. It is a view that you will really have to see to believe. 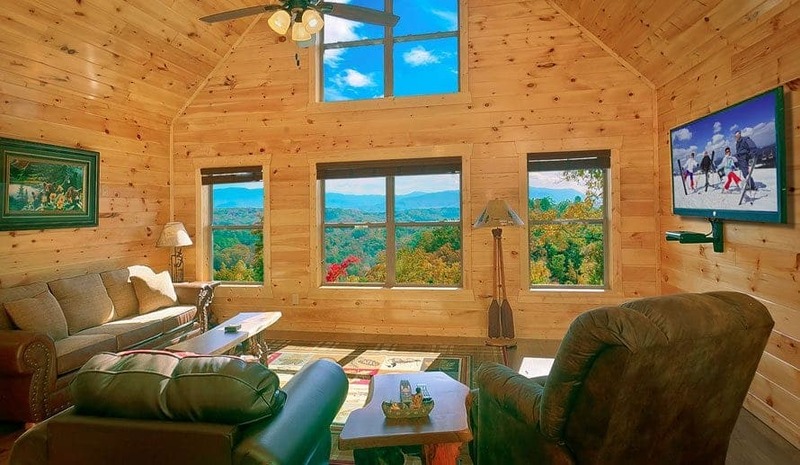 What is even better about the fall views of the Smoky Mountains is that guests choosing to stay inside one of our large Pigeon Forge cabin rentals is that you will have a front row view from your cabin’s secluded back deck. 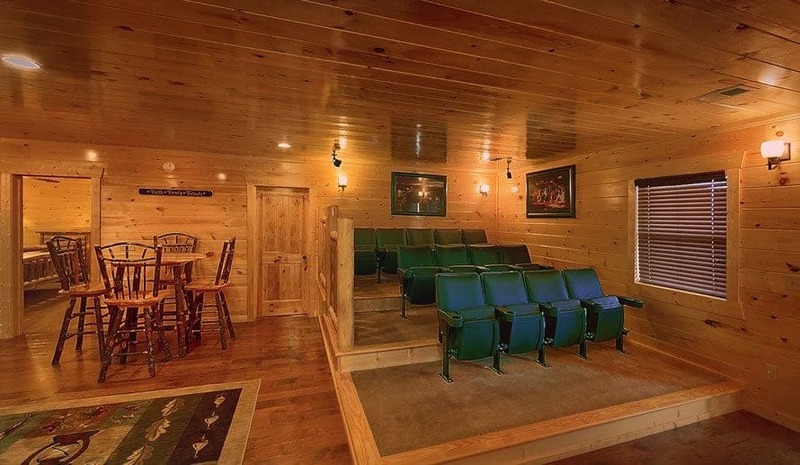 Whether you are traveling to the Smoky Mountains to enjoy a relaxing family reunion, a Smoky Mountain wedding, or enjoy a church retreat, you and your group will love all the space you have to spread out inside your large Pigeon Forge cabin rental during your fall vacation. Unlike other lodging accommodations, each of our rentals were specifically designed to comfortably hold large groups of people under the same roof. At Large Cabin Rentals, we understand that one of the biggest reasons groups visit the Smoky Mountains is to spend time with one another before the chaos of the holiday season begins, and we want to make sure that visitors staying with us can do so comfortably. 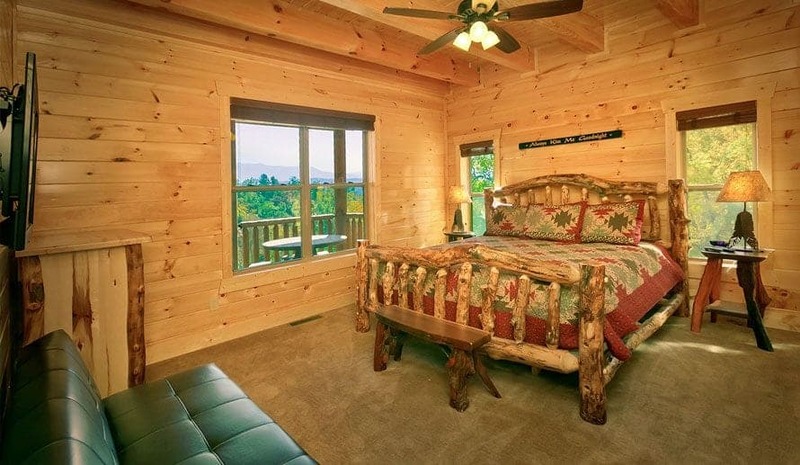 Speaking of the holiday season being just around the corner, why not treat your family and friends to a special treat this year by staying inside one of our large Pigeon Forge cabin rentals this fall. Not only will you get to unwind with the people you love, but you will also get to experience the beauty of the Smoky Mountains this season. Besides, can you just imagine how wonderful the Smokies would look as the background for this year’s Christmas card or family letter? Contact us today to begin planning your fall holiday vacation in the Smoky Mountains. Even though you probably want to, it is unlikely that you and your group will spend your entire fall Smoky Mountain vacation at your cabin staring out at the leaves. You will eventually want to leave your rental and explore all the fun things to do in the Smoky Mountains. Click here to learn more about the Gatlinburg and Pigeon Forge attractions located near our Smoky Mountain cabins. 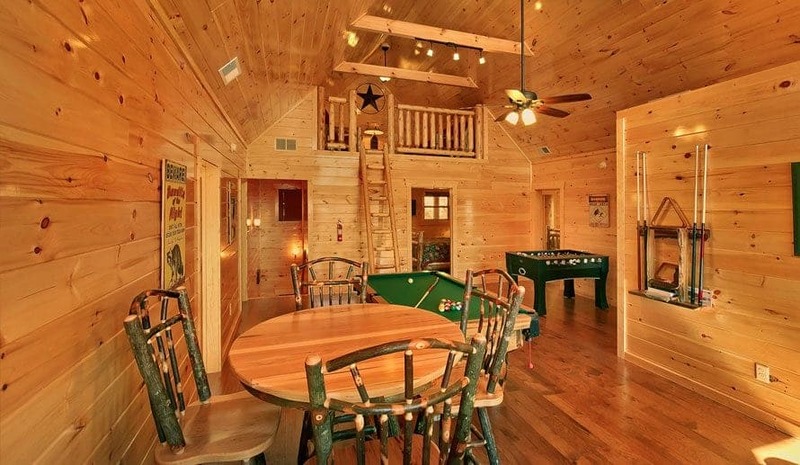 In an earlier post, we told you about all the fantastic Smoky Mountain cabin amenities that can only be found inside our large Pigeon Forge cabin rentals. These perks ranged from the ability to sleep up to 74 guests to the fact that all of our rentals can easily be accessed by motorcoach or tour bus. We wanted to mention these amenities again because we wanted our fall guests to all see all the added bonuses that a stay with Large Cabin Rentals can bring during their vacation this season. 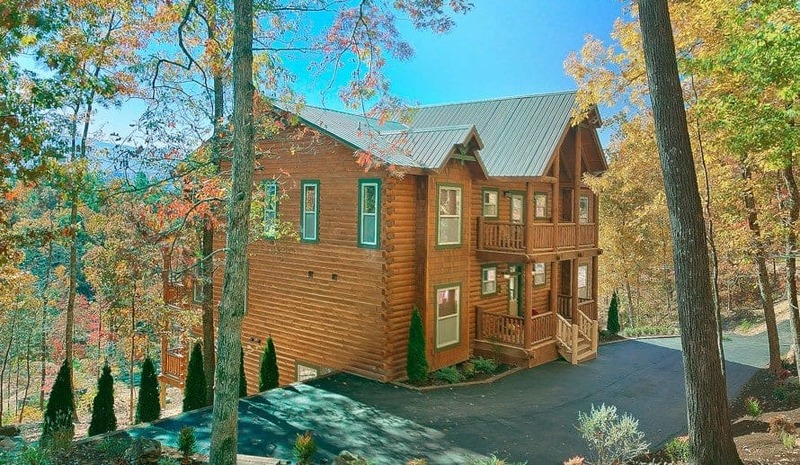 Read here to learn about even more reasons Large Cabin Rentals is perfect for large group vacations to the Smoky Mountains. Ready to start planning your group vacation to the Smoky Mountains this fall? 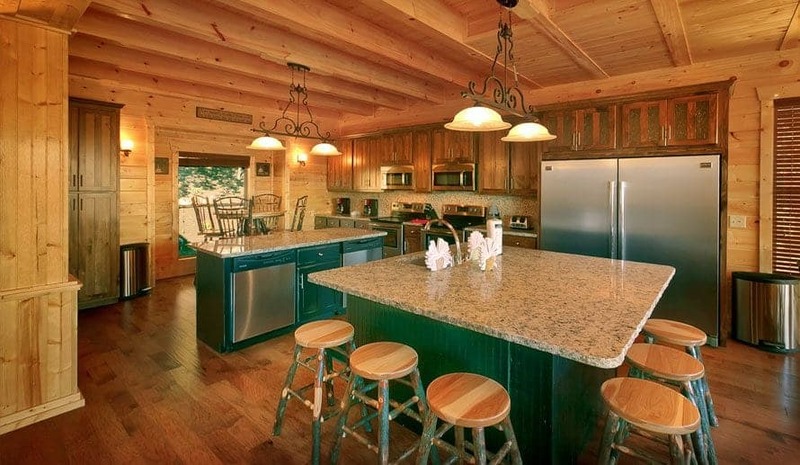 Start by picking which of our large Pigeon Forge cabin rentals is right for your group. 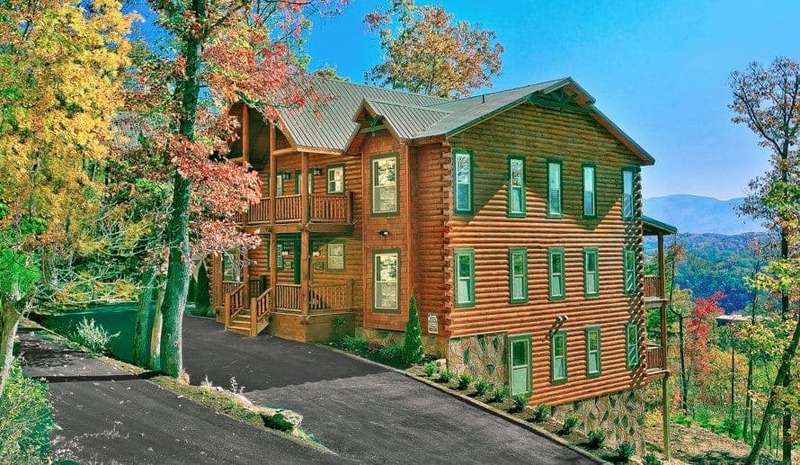 With units ranging in size from 8 bedrooms all the way to 16 bedrooms, we at Large Cabin Rentals have the cabin for any size group visiting the Smokies this fall.